Since Twitch’s acquisition by Amazon, there has been speculation (including my own) that the company would incorporate ads and links to games and consoles within streams. According to CEO and co-founder Emmet Shear, that’s the last thing he wants. 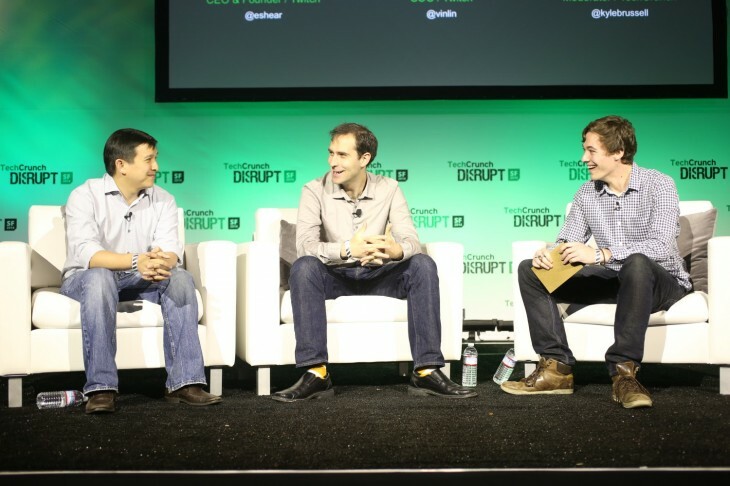 At TechCrunch Disrupt, Shear also said that he believes it’s the last thing Amazon wants as well. There are currently broadcasters that offer discounts via their streams. “We will not try to force synergy and data,” said Shear. Amazon’s history of acquiring companies like Zappos and IMDB and allowing them to keep their independence could work in the founder’s favor. But he’s looking towards a future where Twitch and Amazon will share resources to help battle problems, including the sticky music rights situation that erupted in August which Shear insists only impacted 20 percent of videos. “Everyone on the internet realizes that music licensing is a real thing. You may not like that but it’s a matter of fact,” said Shear. More importantly, Twitch is excited about using AWS (Amazon Web Services) to help grow the company. He’s also excited about the future of gaming and talked about how streaming VR systems like the Oculus Rift could work. While a first person point of view might be interesting initially, game makers will need to add multi-casting abilities to games that will allow for an overhead view for spectators. Finally when the subject of misogyny and harassment was brought up, Shear said, “it’s an inevitable problem when you let humans interact with each other.” He pointed to the ability of broadcasters to control who can be heard on a broadcast and the company’s moderators.